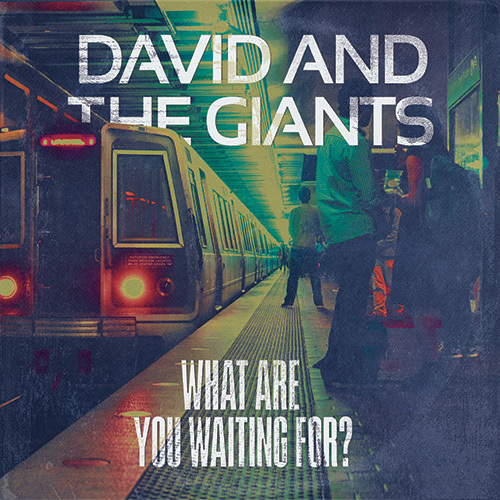 Read More David Huff, pioneer CCM artist along with the group David and the Giants are proud to announce the release of their brand new studio recording, 'What Are You Waiting For?' due out on March 5th, 2019. This is their first new recording as a group since 1996. It reunites the original members of David Huff, Rayborn Huff, Clayborn Huff, and Keith Thibodeaux also known as “Little Ricky” on the “I Love Lucy Show.” In conjunction with the new release, the first single is the title track and is being released on March 5th to radio, online, and to other various outlets. David and the Giants have been touring, singing, performing concerts, and traveling the world spreading the good news of the Gospel for over forty years. Their commemorative CD/DVD combo is available where the group performed “live” honoring that historic event of music and ministry. 2017 was also the year David and the Giants formed the Mission Fund in hopes to take their heart-engaging music around the world. David had felt that putting the band together again for a new studio recording was a great idea when the Lord was giving him new songs to write. It was clear to him that “God is still doing a new thing.” This prompted the writing and recording of a new studio release. New songs will feature subjects about overcoming, reflecting on our lives when we came to the Lord, hope for Israel, our relationship to the Savior, and many more. This release will be a great treasure for many followers of the group, and for new listeners that are hearing their music for the first time.